What do toilets have to do with climate change? It's a connection we don’t make very often. But the rise in extreme weather events is proving challenging to sanitation systems around the world. While the UN's Sustainable Development Goal (SDG) 6.2 calls for universal sanitation, 4.5 billion people globally lack safely managed services. 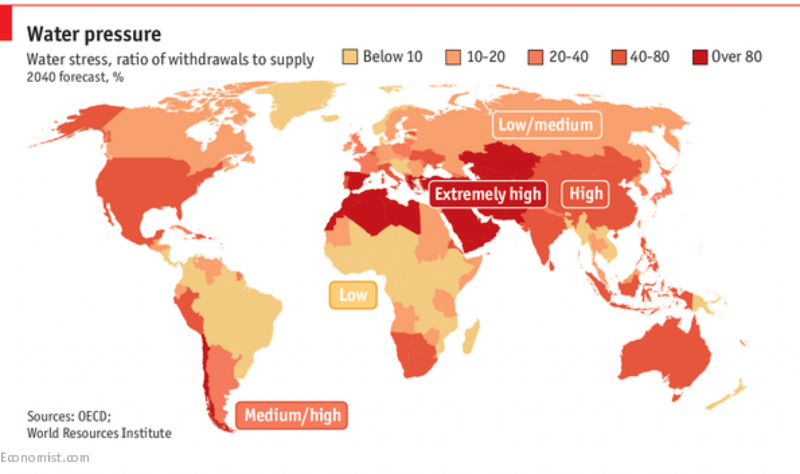 This problem is exacerbated by the fact that water availability is becoming less predictable, and increased incidences of extreme weather events such as floods threaten sanitation facilities and risk contaminating water sources. On the other hand, extreme drought leads to insufficient water resources for flushing sewage systems. This is happening right now in many cities across the world. According to Google Trends, on 28 January 2018, the search term "waterless toilets" reached a peak in searches coming from drought-hit Cape Town. India is the country with the largest number of people without access to basic sanitation facilities. The world cannot achieve the universal sanitation targets of SDG 6 if India lags behind. The world’s biggest toilet building programme, Swachh Bharat Mission (Clean India Mission), is underway, aiming to end open defecation in the country by October 2019. There are already success stories, but there are concerns as well. While working in the flood-prone state of Assam on water, sanitation and hygiene (WASH) programmes, we found toilets built for the Clean India Mission in flood-affected villages that were becoming dysfunctional due to the absence of climate-resilient design. And in water-scarce areas, people often resort to open defecation due to a lack of water for flushing toilets. India is the sixth most vulnerable country in the world in terms of facing extreme weather events, according to The Global Climate Risk Index 2018. Keeping this in mind, India and other developing countries must build resilience into their sanitation infrastructure right from the beginning, rather than as an afterthought. Nearly 55% of the world’s population lives in urban areas, and this proportion is expected to increase to 68% by 2050. In most densely populated cities in the developing world, untreated sewage and faecal sludge are major causes of environmental and water pollution. Globally, human waste converted to fuel could have a value equivalent to about $9.5 billion of natural gas, estimates a UN University report. During World Water Week 2017, the Toilet Board Coalition (a global, business-led coalition co-founded by Unilever) and its partners explored the business case for turning human waste into valuable resources such as fertilizer, animal feed and high-value proteins. They concluded that "there is a clear business case for building toilets and keeping them secure and well-maintained ... there is an economic incentive for creating a sanitation economy". Various stakeholder groups have recognized the need for toilets that can not only withstand extreme weather events, but also help mitigate climate change. The Toilet Board Coalition’s Accelerator and Re-invent the Toilet Challenge, funded by the Bill & Melinda Gates Foundation, are investing in innovation in toilets and sanitation systems that are sustainable, recover valuable resources and can be scaled up. The Indian government also conducts periodic "toilet hackathons" for inventors to generate resilient and sustainable solutions. Sanitation innovators across the world are developing products based on the principles of the circular economy. The social enterprise Sanivation in Kenya installs container-based toilets in people’s homes for free and charges a small monthly fee to service them. Instead of dumping the toilet "waste", they transform it into a clean-burning alternative to charcoal. These briquettes are not only preferred by their customers due to longer burn time and lesser smoke, but they also save 88 trees for every tonne sold. The VUNA Project at Eawag in Switzerland has developed an affordable dry sanitation system that produces a valuable fertilizer, promotes entrepreneurship and reduces pollution of water resources. The fertilizer, which is made from human urine, is branded as Aurin and is authorized by the Swiss Federal Office for Agriculture to be used as a fertilizer for every type of plant. Ekam Eco Solutions, a start-up incubated at the Indian Institute of Technology Delhi, is developing and marketing different eco-friendly sanitation technologies. One of them is the Zerodor urinal, a waterless and odourless urinal that can save 50,000-150,000 litres of water every year. It can be retrofitted in existing urinals, and neither chemicals nor electricity are required, making Zerodor a "green" toilet. Uttam Banerjee, the founder and CEO of Ekam Eco Solutions says: “The future of toilets has to be based on the philosophies of closed loop sanitation and the circular economy. We must give back to nature what we consume to create a healthy balance. Considering the environmental situation and the depletion of our natural resources, especially water, we may have to move completely towards waterless or even water-free systems". That distant future could be nearer than we imagine. The world is slowly acknowledging that we cannot carry on our toilet business as usual. We can no longer apply band-aid solutions if we are to achieve the SDG sanitation targets. 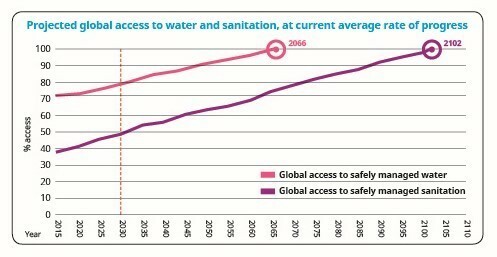 There are sparks of hope, but what we need is a global toilet revolution. We need to talk about toilets and sanitation more during our discourses on climate change. After all, everyone needs the toilet.